Barry Gilbertson holds Visiting Professorship appointments at University of Northumbria and at the Royal Agricultural University. In 1996, Barry became the first Chartered Surveyor ever to be a Partner in a global firm of accountants (then Coopers & Lybrand, now Pricewaterhouse Coopers, PWC). A partner until 2011, specialising in business recovery and corporate finance, Barry was a member of Pwc's Global Real Estate Board from 1997 to 2001. Barry has led, worked on projects or spoken at conferences in 34 countries, spoken at 8 global events and been a Visiting Lecturer at 21 universities around the world. Barry currently serves on the Board of one publicly-quoted company as the Senior Independent (non-executive) Director until June 2017, Barry ran (for six years) his eponymous consultancy with a focus on business strategy and risk. 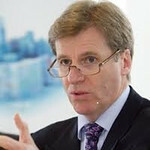 Among Barry's other career achievements: 123rd President of the Royal Institution of Chartered Surveyors in 2004/2005 (inaugurating The President's Commissions on Disaster Management and, separately, on Sustainability); United Nations Real Estate Advisory Group (5 years); Bank of England's Property Forum (10 years); Trustee at College of Estate Management (8 years); Trustee of the Bath Preservation Trust (and Chairman of the Historic Vaults Group) (2 years). In July 2017, he took up a three year tenure as the (pro bono) Chairman of the City of Bath UNESCO World Heritage Site. Barry's interests include Georgian architecture, digital photography, Fulham FC and Bath Rugby. Barry lives with his wife, Von, in a Grade I Listed Georgian townhouse built in 1755, in the centre of Bath.